It’s nothing out of the ordinary but every owner, operator, and businessperson wishes to have a forklift that will work best for their business goals. When operating a forklift, several benefits tag along with the forklift attachments. Regardless of whether you wish to reduce costs, expedite handling times, or boost efficiency, the reasons are so many. However, you should know there is a fine line that comes when you consider customization options, and considering modifications to your Moffett is an unsafe decision. Just know that there’s a difference in terms of savings and safety. Are you searching for safe ways to make noticeable changes? From our experience here at Moffett, here’s a complete analysis of when, where, and why you should not consider making modifications to your fleet. Most operators are aware of how their forklifts operate, and they know every detail about safety and any alteration in security, but they ensure everything lies within the OSHA guidance and compliance. When you purchase any lift truck from us, we can help you determine whether your equipment will need any modifications to meet material handling needs. However, our advice to you is that you should leave your Moffett’s unadulterated and avoid adding any accessories that will take up the job easily, safely, or quicker since it’s often a bad idea. It’s nothing out of the ordinary, but the forks serve as the lift truck foundation. If you decide to alter this area of the truck by trying to remove them, this will only lead to serious risks and hazards, and not all can have catastrophic consequences. Note that whether it’s in routine or basic initiatives, or taking up operations that require heavy labor, the forks have to remain parallel and properly leveled. In addition, they should also not have any chips, fracture, since it could cause a change in the lifting capability of the truck. Often, the results could be damages to the goods going through transportation, or injuries to the operators. Hence, it is best that you leave the forks as they are. In terms of forklift accuracy, it is not a good idea to attempt modifying the forklift to try to increase the counterweight size. People consider this modification in an effort to try to increase the lift trucks rated capacity so it will take up more loads. Some achieve this by increasing the force that exerts at the back of the fulcrum. However, this tactic is a dangerous one and it could lead to poor stability of the forklift as well as affect the steering, and handling. Contrary to all the theoretical beliefs behind this process, changing the counterweight will not enable the lift truck to take up more loads. Rather this will only exert more weight on the wheels, creating the risks of tip over’s, and operators losing control over the equipment. 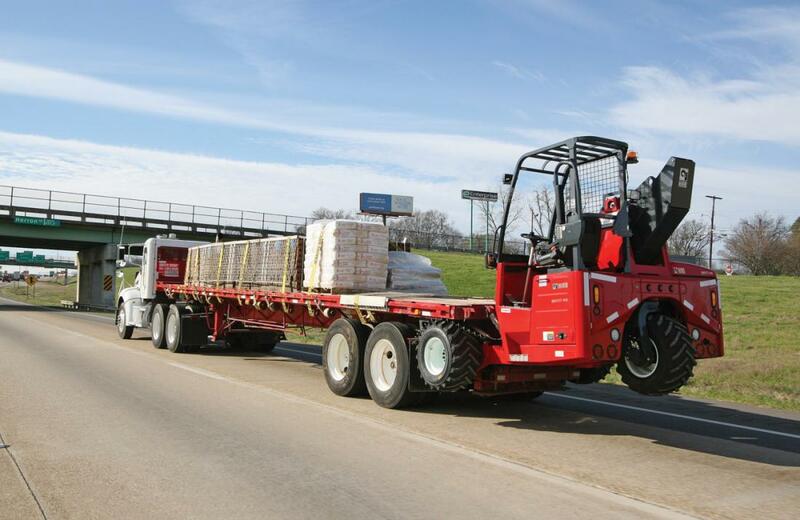 Rest assured that when you buy new or used Moffett’s from us at Moffett Truck, you wouldn’t have to worry about modifications. Each one will serve your material handling needs in the best ways.